Unscented. 2.5 to 3 Feet. June flowering. 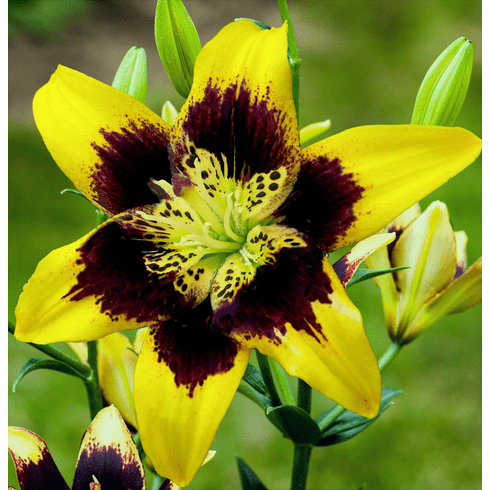 We have found few pollen free lilies in our 40 years here at B & D that caught our attention as they just did not look right, but 'Easy Dance' has broken the mold for pollen free lilies. Intense Canary Yellow flowers are boldly highlighted with a dramatic red-black center with a smattering of adventurous personality spots for added interest. 'Easy Dance' will be a real stand out in your June flowering garden. 2.5 to 3 feet. Unscented.